The original Black Panther/Deadpool crossover written by Christopher Priest who was writing both titles at the time goes for a pretty penny. The movies for each character did rather well also. So it seems someone has noticed and thought – why don’t we do it again? 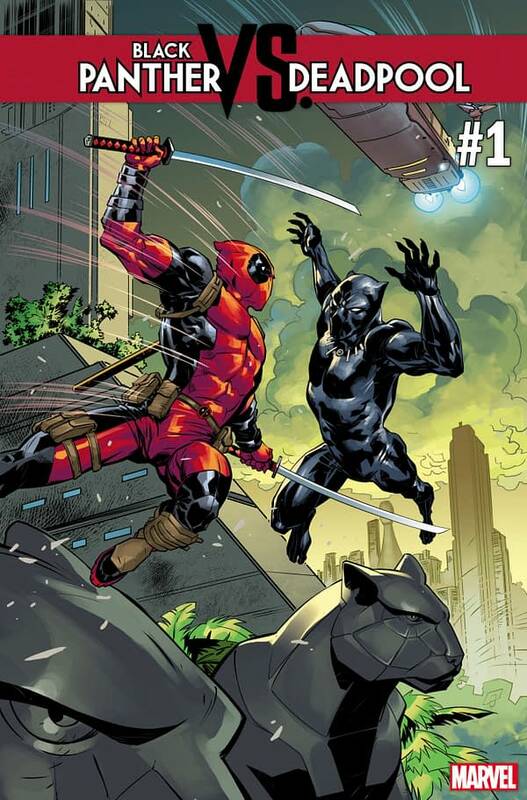 Black Panther Vs Deadpool by Stephen Colbert’s Daniel Kibblesmith and Hit-Girl’s Ricardo Lopez Ortiz is coming from Marvel in October.